Touro University Worldwide is a nonprofit institution of higher learning established by philanthropic visionaries who are committed to developing a passionate, connected learning community that can help students achieve their individual academic goals. Administration and Faculty of Touro University Worldwide are committed to social justice, intellectual pursuit and philanthropic duty. This philosophy is derived from the Judaic foundation on which the University was originally founded and a value system that welcomes all cultures and backgrounds. In addition to providing both on-campus and online academic opportunities, the university provides outstanding administrative services, cutting-edge technology and a highly qualified academic faculty. As a nonprofit institution, all resources are directed and reinvested to improve the quality of the already excellent education at TUW. Touro is a system of Jewish-sponsored non-profit institutions of higher and professional education, with Touro College and University System being the parent of Touro University Worldwide. At Touro, students are offered something other schools simply don’t provide: a network of on-ground and online campuses that are dedicated to ensuring graduates receive a liberal arts education in a global-minded setting. Touro graduates are not only qualified and ready to enter the workforce; they are also ready to become true citizens of the world. The armed forces bravely serve this nation, and TUW wants to serve them in kind. TUW offers tuition discounts to active duty service members and their family, DoD, Veterans and Reserve. Learn more about how TUW supports military, military families, DoD, Veterans and Reserve. Doctors Yoram and Edith Neumann are experienced, successful leaders in the world of online learning. TUW is the second online learning campus they have headed for the Touro College and University system. 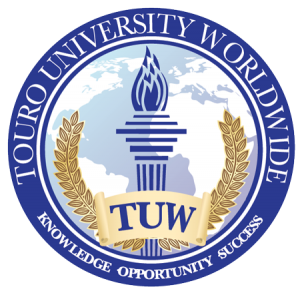 In 1998, they founded Touro University International (TUI) and returned to Touro in 2012 to assume leadership of TUW. Learn more about the university’s history. No matter what degree or level of education you seek, Touro University Worldwide can help you achieve your goals and prepare you for a successful and enriching future and career. Currently, Touro offers degrees at the bachelor’s, master’s, and doctorate levels.